Tips for buying and restoring a Classic Car. Restore a classic car today and own a piece of history! Automobile style and technology is constantly evolving. Since the invention of the automobile, practically everything has changed, and the only thing that has remained the same is the driver. Many people have come to appreciate the historical significance of automobiles that have long since been retired. For example, there will probably never be another vehicle shaped quite like a 1957 Chevy Bel Air or 1967 Toyota 200GT, which increases the joy of owning and driving one, because you are practically guaranteed to be driving the only one in your area. Classic cars are something of a moving work of art. They’re meant to be driven and admired and typically increase in value every year that passes, another reason why some people spend their time and money on classic cars. Why do you want to buy a classic? Whether you’re interested in driving a classic car or restoring classic cars for sale, you have to start with buying a classic car, but how do you do that? First, figure out why you want a classic car in your garage. This will determine your next steps. For example, if you’re looking for a daily driver, you probably shouldn’t be looking for something that you’ll never be able to find parts for.If you’re looking to restore a classic for sale or have a small starting budget, you can buy something in a little bit rougher condition, knowing that you have the time and money to spend on shining it up later. If you don’t have much mechanical knowledge, or are blessed with unlimited money, maybe buying a perfectly restored classic car is the way to go. Before you start looking at classic cars for sale, you should first set a reasonable budget, and we’re not talking simply financial. True, you’ll need cash to buy the car in the first place, as well as money for tools, supplies, and parts so you can restore and maintain your classic car. If you don’t have much experience in the way of the wrench, looking for a classic car specialist will add further expenses. Some have found that taking even a basic mechanic’s course in a local college can save a lot of money in the long run. Aside from setting financial boundaries, be sure you have enough time and space to work on your “new” classic car. You’ll need at least a two-car garage, and then some, to house a classic car, parts, tools, and equipment if you really plan on keeping your car in good shape. Time is another big thing to keep in consideration. If you only have Saturdays to work on your classic car, then your restoration timeline will be significantly extended in comparison to a retiree who can tinker with his car five days a week. One of the biggest things you’ll have to do before you purchase a car is learn everything you can about them. Seeing as you are reading this article online, you should already know that, at your very fingertips, is a vast wealth of knowledge regarding classic cars of every year, make, and model. Classic car forums, auction sites, enthusiast groups, and classifieds all can give you a really good idea how much classic cars sell for, how much they cost to restore, problems specific to certain models, and much more! On the other hand, nothing can really compare to getting out and talking to people about classic cars, especially at car shows, swap meets, and competitions. There, you’ll find classic car enthusiasts, many of whom have spent many years and thousands of dollars restoring their cars to museum quality presentations. Stopping by to admire their work and ask a few questions can result in a wealth of information regarding classic car buying, restoration, and selling. Have a certain classic car in mind? Armed with as much information as you can muster, you have to figure out what classic car you want. You may be limited to classic cars in your own area or, if your time and finances permit, the world is at your fingertips. If you have something specific in mind, then this choice is almost already made for you. 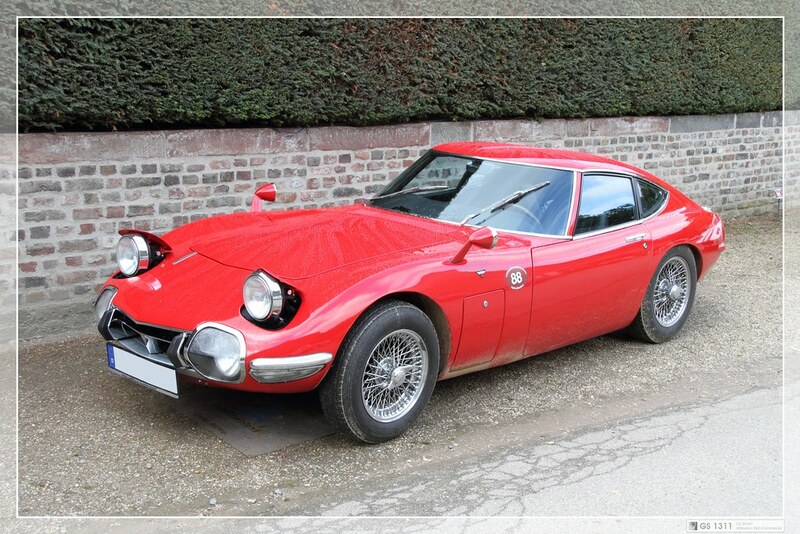 We say “almost” because, if you have in mind something like the aforementioned classic 1967 Toyota 2000GT, one of which sold for nearly $1.2 million at auction, pricing may very well be out of your budget. If you’re not sure what you might want to buy, head back to the classic car shows. There, where you can look at lots of different restored classic cars and project-cars-to-be, you might see something that strikes your fancy. Talking with owners and restorers can also give you a good idea of what it’s like to work with specific models. Once you’ve done the legwork, buying a classic car is just like buying a new or used car. First, you’ll have to find the car and inspect it. If you’re not particularly mechanic-savvy, take along a good mechanic friend who can take a look at it for you. You may not be able to test drive the vehicle yourself, depending on condition of the vehicle and whether the current owner will even take the risk of letting you. You may have to settle for a ride or even just a listen and visual inspection. Even if you’re just looking for a project car, such an inspection can give you a good idea of how much future restoration might cost, so you can plan your future time and money accordingly. At the very least, look for matching chassis, engine, and transmission numbers, a good indicator of the “investment quality” of the car. In general, stay away from massive amounts of rust. If you are looking for a personal vehicle, you can always get aftermarket replacement panels, but these reduces resale value. On the other hand, rust also indicates neglect, so the skin-deep appearance might very well continue straight through to the heart, the engine and transmission, meaning more work and more money to restore. We hope that you find these classic car buying tips useful what looking for your next classic car, whether it be a daily driver or a project car for sale. Perhaps the best advice, which we’ve saved for last, is to only buy something that you actually like. Often, those who buy a car “because there’s money in it,” are sadly disappointed when they end up losing money on the deal. The problem, usually, isn’t the car itself, but the owner. Classic car buying and restoration is about passion so only take the plunge if you are willing to commit to the project. The point is this: Have fun and enjoy the ride.